A classic tube mic preamp & LA-2A-style compressor in a single unit. This classic channel strip design, with its warm preamp tone and smooth, natural-sounding compression, is updated with modern, user-requested features like true compressor bypass, larger metering, increased output, and an auto-switching power supply. The LA-610 MkII is based on the legendary console modules developed by Bill Putnam in the 60's. Noted for their musical character and warmth, innumerous classics by artists ranging from Frank Sinatra to Coldplay, Van Halen to Pet Sounds, have been recorded using the 610 preamp. 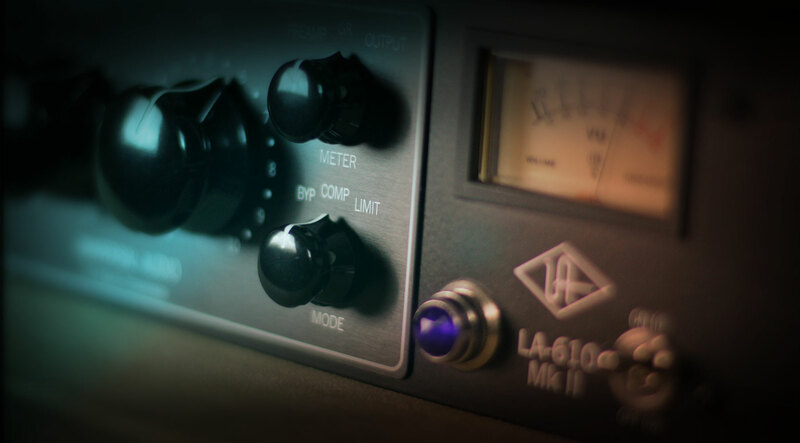 The LA-610 MkII will impart the same silky, vintage warmth of the original console’s mic amp design to your sources. The LA-610 Mk II’s T4 tube compressor provides the same ultra-warm limiting that has made the Teletronix LA-2A the king of fat opto compression. The electro-optical detector, or "T4 cell,” is the heart and soul of the Teletronix LA-2A. Its photo resistors are the crucial circuit components, giving the compressor its signature warmth, making it a “go-to” for tracking vocals, bass, or acoustic guitars. Taken together, it’s impossible to get a bad sound out of the LA-610 MkII’s legendary preamp and compression circuits.